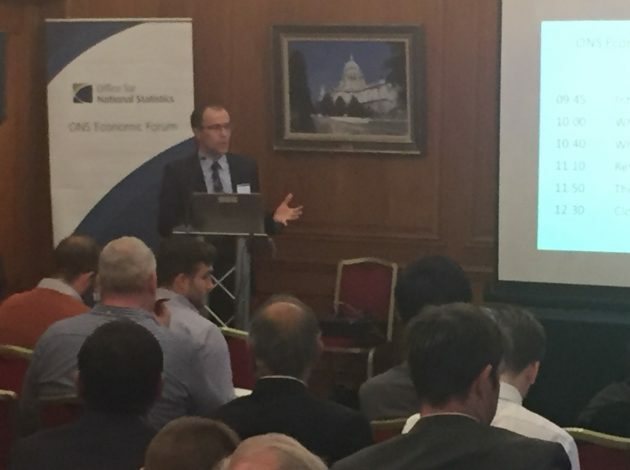 The ONS Economic Forums are a chance for expert users to meet our economists and statisticians and hear about how ONS is developing and improving the UK’s economic data. Ed Palmer shares his first experience of these live events. 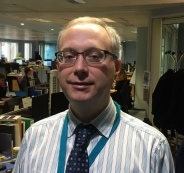 “Having recently joined the Office for National Statistics, last week I headed to York by train for my first experience of an ONS Economic Forum. The events were initially hosted just in London, targeted at City analysts and journalists. However, we knew that there was a world outside the M25 – we are headquartered in South Wales after all – so this year we have trialled taking the Forum on the road. As well as York this has involved events in Edinburgh, Cardiff, Belfast, Manchester and Birmingham. The main topic in York was the post-referendum economy. Although people were very interested to understand what effect the vote to leave the EU has had, so far neither the headline figures – with GDP estimated to have grown by 0.5% in Quarter 3 (July to September) for example – nor the underlying data suggest a turning point in the economy. It is important to remember, however, that the longer term effects remain to be seen. To help people track and understand the emerging economic picture, we have produced a handy dashboard that will be updated regularly. You can also sign up to our regular email updates to get the latest figures on the post-referendum economy sent to your inbox as soon as they are released. As well as tackling the big national issue of the day, at York we delved into regional statistics for the area. ONS produces a number of outputs with a local focus, from labour market statistics to productivity. This means there is a wealth of data to help users understand what is happening at a more local level. While it’s not always a positive picture – Yorkshire and the Humber has experienced some of the lowest growth in the UK since the economic downturn – it’s vital that policy makers, businesses and other users have an accurate and comprehensive understanding of how the local economy is performing. Our colleagues in other parts of government produce plenty of relevant statistics too. HMRC data presented at the event showed us that the chemicals industry accounted for about 30% of exports from Yorkshire and the Humber in 2015, compared with less than 20% for the UK as a whole. Other industries which represent a high proportion of the region’s exports in comparison to the national picture include manufactured goods and mineral fuels. Even though we already produce a lot, it was clear from attendees’ questions that there is a big demand for more regional data. This is only going to increase as more power and money is devolved from Westminster. That is why we have been forging stronger links with bodies at the forefront of regional devolution in England, such as the Greater Manchester Combined Authority, as well as with the devolved administrations in Scotland, Wales and Northern Ireland. Meeting this growing demand is not without its challenges. We were asked in York whether we can provide more regional data on the nationality of people in employment, which is difficult as a result of the sample size of the Labour Force Survey once one gets to a local level. However in other areas we are making progress. We were also asked whether we could publish more granular local productivity data, and we are already planning in a future Economic Review publication to look more closely at this as part of ongoing efforts to unpick the productivity puzzle. More generally, as Jonathan Athow explained in his recent post on this blog, better use of administrative data will open up fantastic opportunities for us to paint a much richer picture at a local level than we are able to with traditional surveys. We are currently undertaking a review of how we run the ONS Economic Forums, including considering where we might host events in 2017. Details will be published on ONS website as soon as they are confirmed – so keep an eye out for future events. If you have attended one in the past and have suggestions for how we could make them better, do get in touch. We’d love to hear from you.